Subtle is out, bold is in. 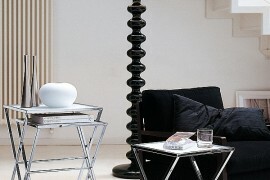 These bold floor lamps by Viso state the same. 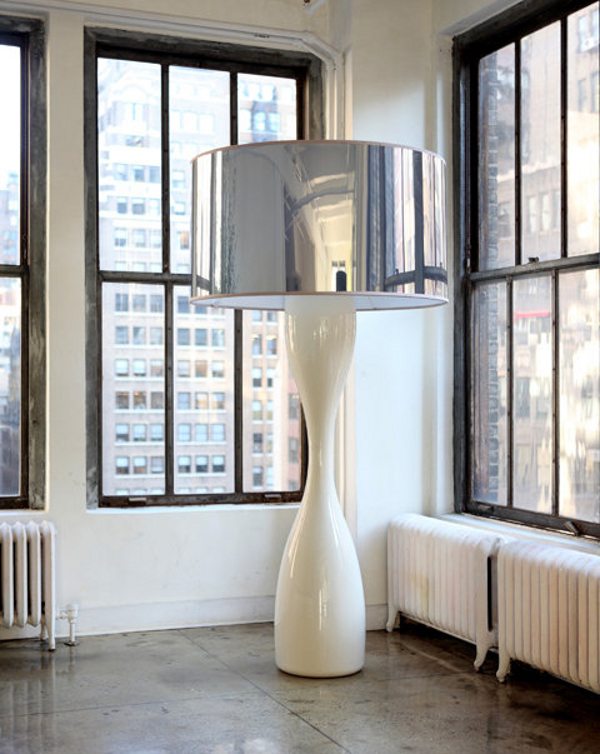 Put the lamp in any room and it is sure to catch your attention. 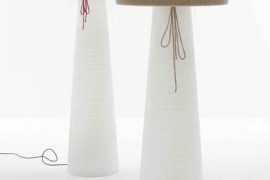 Designer Filipe Lisboa created the Juju and Archie lamps with an eye towards modern art. 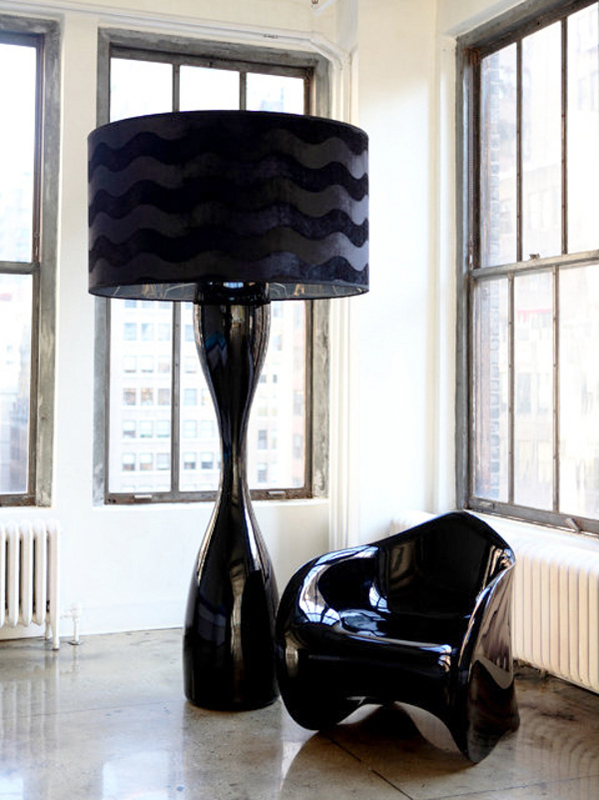 The Juju floor lamp is an eye catcher – its impressive height, the seductive hourglass-shaped body and the dramatic oversized shade work together, which results in a real object of fashion and function for the home that stands out. The glossy base comes in black or white, although customizable shades are also available. 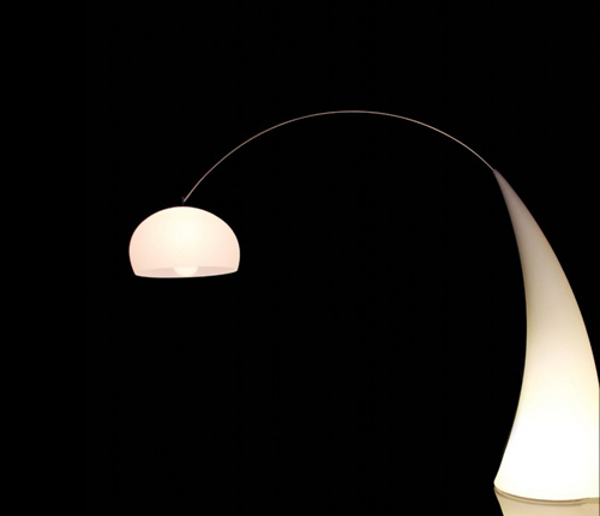 Equally enticing and visually unique, the Archie lamp can give any lamp a run for its money. 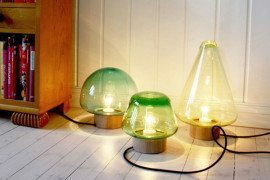 The lamp, with its overarching design that emanates style, is made of rotational molding, and features an illuminated base topped by its main light source, a glowing globe dangling overhead. 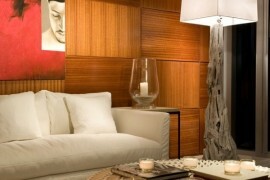 The lamps are sure to make a stylish contemporary addition to your living room sitting area, or the deck.